“Wonderful staff! They really took the time to explain everything they were doing and went out of their way to welcome me! Highly recommend! Dr. H and his staff are knowledgeable and friendly!”~ Deb W.
“The staff is very friendly and Dr. Hutchinson was decisive and knew what he was talking about. I was in and out with no problems and left better for it. I strongly recommend this practice.”~ Calum C.
“It may sound ironic to say that I enjoy going to the dentist, but I look forward to my appointments with Dr Hutchinson when they show up on my calendar.”~ Terry W.
Dr. James Hutchinson and his staff are dedicated to the health and comfort of the people of Olympia. Our practice is built on a foundation of trust with our patients and our community. We believe in creating a comfortable and respectful environment for everyone who visits our office. We recognize that all our patients are unique and deserve to receive dental care that reflects their individual needs. 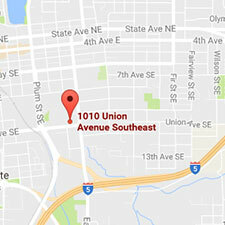 Call our dental office in Olympia, WA today and schedule your appointment with Dr. Hutchinson. Our friendly staff will be more than happy to answer any questions you may have.